It’s not everyday that a state transport bus hits a luxury car in India, and that too at high speed. And such incidents being captured on video are even rarer. 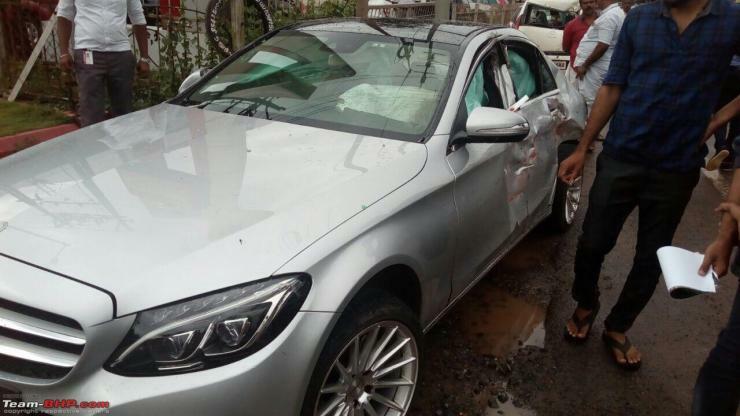 Today, we have visuals of a state transport bus in Kerala ramming into a Mercedes Benz C-Class luxury sedan. As the video shows, the Mercedes Benz C-Class driver was trying to get the car across the road, into a fuel station. The road was undivided, and a KSRTC bus was coming from the opposite direction, at speed. The bus driver couldn’t brake in time, and rammed into the Mercedes Benz C-Class, and then went on to hit a parked Tata Nano. The C-Class, going by the images of the aftermath, seems to have taken the massive impact incredibly well. The car’s structure has remained intact, protecting the occupants. Airbags have also deployed, protecting the occupants of the car. As you can see in the video, there’s smoke coming out of the car, and this is due to the airbags deploying. 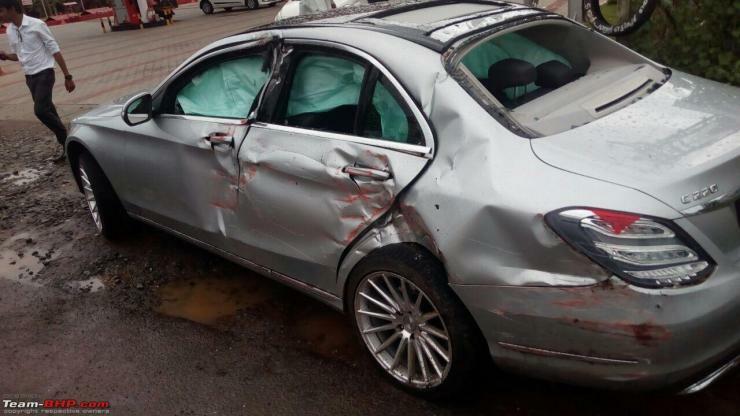 The solid build of the Mercedes Benz saved the day for its occupant, in what could have easily caused major injuries, or ever death had there been a weaker car in the path of the bus. Again, this is why cars with good build quality can save lives rather than those with weak builds. If you can, always buy a better built car. It could mean the difference between life and death. Certainly. Going across a road, especially in places where the road is undivided, is dangerous. It always helps to wait until the road gets empty, as crossing becomes much safer. When in doubt, wait! The bus driver, for his part, should have slowed down near the fuel station as this is a place where there’s constant traffic seeking to enter and exit the road.